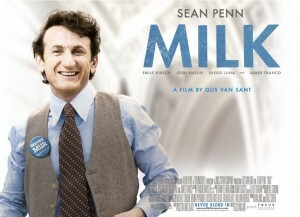 第二次競選市政顧問的 Milk. Tom Eure. 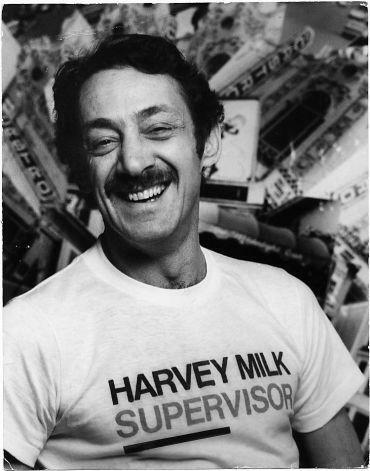 Harvey Mlik Archives, Gay & Lesbian Center, San Francisco Public Library. 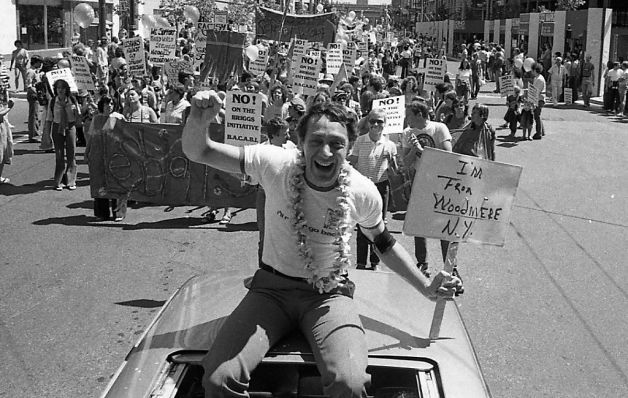 剛成為市政顧問的 Harvey Mlik 參加 Gay Freedom Day Parade. 當天也是彩虹旗第一次出現在同志遊行中. 1978.06.25. Source:SF Gate. 於是 11 月 28 日，Moscone 準備宣布 White 辭職的記者會前, White 潛入市政廳，先槍殺了市長 Moscone, 之後殺了 Milk. 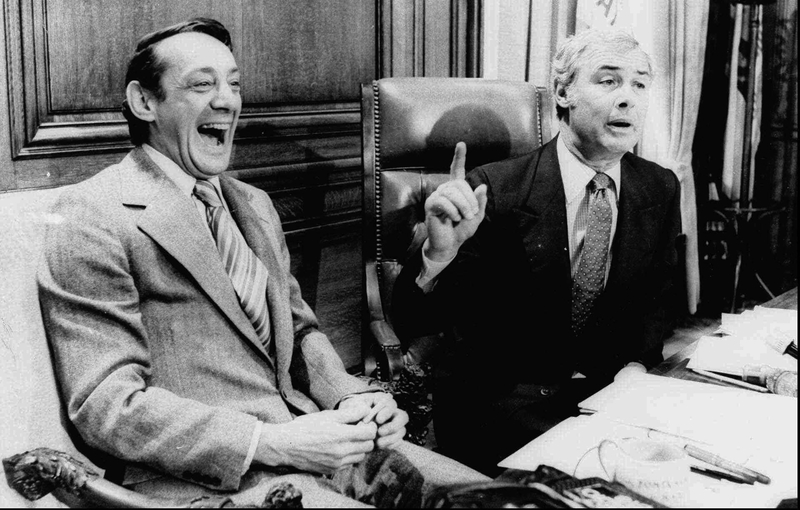 Harvey Milk 與市長 George Moscone. April 1977. Source:TIME. 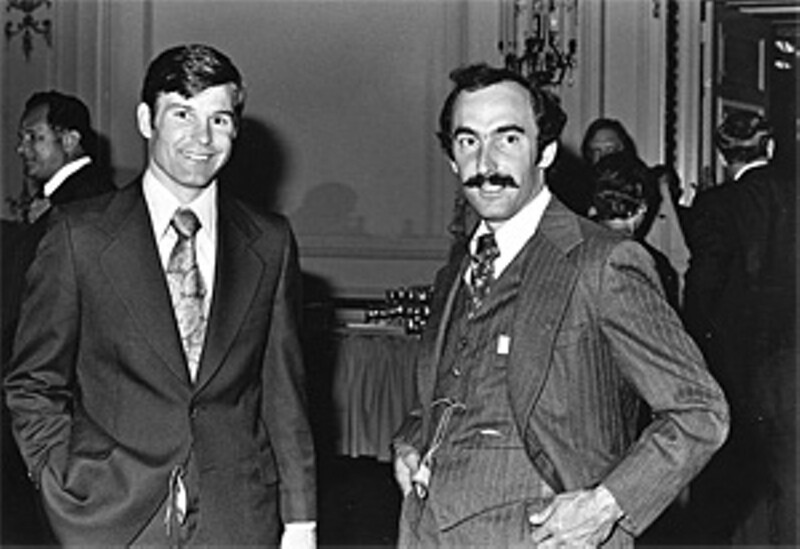 左: Dan White, 右: Ray Sloan. Source:SF Weekly.